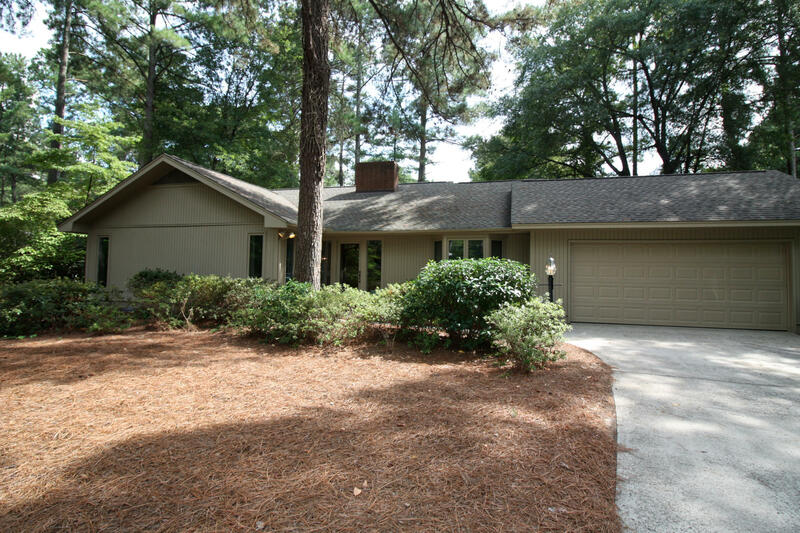 Well-built 1980's home in the attractive Unit 1 area of Pinehurst. Located less than a mile from the Village of Pinehurst, the Pinehurst CC and Moore Regional hospital. Newer roof, new hot water heater, new garage door, crown molding in several rooms, smooth ceilings in all rooms and all appliances are included. In addition, Bose speakers with fabulous sound will remain and a full membership to PCC is available with buyer paying transfer fees. Easy to keep up with only one step into the home, one-level living, low-maintenance yard. Very peaceful in a private setting and an attractive screen porch to enjoy it all.